WHAT MATTERS MOST - YOUR HEALTH! Anytime is the right time to re-engage your body with health and wellness opportunities. The Center offers many evidenced-based programs, which means they have been proven to work! These designed programs can increase your strength, balance, mobility, flexibility, and overall health. Let us help you reach your goals. Classes have different fitness levels from beginning to advanced. Please check with the class leader or Instructor to find out if the class is a match for you. We also provide fitness tests by appointment. Most of our Health and Wellness opportunities are FREE. We also are a participant with Silver and Fit and Silver Sneakers. Call your insurance company to see if they will reimburse our facility for your fitness classes. Please select from our vast array of activities. For more information please call us! The main focus of this class is to increase strength and balance in your everyday life. Let loose as you learn the hottest professionally choreographed dance routines.You will be so focused on mastering the moves and having a total blast that you will forget you are actually working out! This is a self-led gentle exercise class. Class focus is on improved breathing awareness and balance from simple exercises done from a chair, as well as walking, and selective use of balance balls. Laughter Yoga is a unique and playful wellness workout with benefits similar to aerobic exercise. It combines yogic deep breathing, laughter exercises and childlike play. Participants routinely experience elevated mood, relaxation, decreased pain and increased sense of connection after a 45 minute class. No mat required! Are you looking for a way to stay fit and healthy? 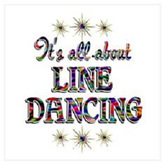 Line dancing can give you a great mind-body workout. It improves memory skills by requiring you to remember dance steps and sequences. 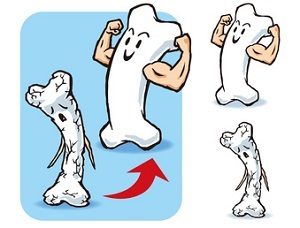 It can help strengthen bones and muscles, increase stamina and flexibility, improve your posture and balance, and give you the opportunity to socialize at the same time. Come and learn dances like Gypsy Queen, Mamma Maria, Ready to Fly, Skinny Genes, and Waltz Across Texas. SilverSneakers Boom is a 30-minute dance-based cardio workout. Instructor Linnea Vukasovich received her SilverSneakers Boom instructor’s certificate of completion last August and has been personally taking various exercise classes for over 30 years. Silver Sneakers Boom is a higher intensity dance workout class that improves cardio endurance and burns calories. MOVE IT is all about breaking a sweat and having fun. The class focuses on cardio endurance by starting with simple dance moves then building into more complex sequences, bringing you a great cardio workout. Combine fun with fitness to increase your cardiovascular and muscular endurance power with a standing circuit workout. Upper-body strength work with hand-held weights, elastic tubing with handles, and a Silver Sneakers ball is alternated with low-impact aerobic choreography. Have fun and move to the music through a variety of exercises designed to increase muscular strength, range of movement and activities for daily living. Hand-held weights, elastic tubing with handles and a Silver Sneakers ball are offered for resistance. This class teaches us to focus our thoughts and bodies to help relieve stress and promote relaxation even after the class has ended. Yoga can be a complete workout which increases flexibility and strength, while incorporating breathing techniques that can both be energizing and calming. This evidence-based, self-led regime builds strength and flexibility. Research shows that targeted exercises later in life slows bone loss and improves strength and balance to avoid falls and maintain independence.This class is safe for individuals with osteoporosis and osteopenia. The Newport 60+ Activity Center will be offering free fitness evaluations. The 7 individual tests are simple, will take approximately 45 minutes to complete, and are an easy way to measure upper and lower body strength, flexibility, agility, and balance. Hatha Yoga differs from other styles of yoga in that it focuses more on breathing and poses than meditation. This class will teach you how to focus your thoughts and help relieve stress and promote relaxation. Other benefits of yoga can be increased mobility and flexibility of the joints, lowered blood pressure, increased lung capacity. The purpose of the support group will be to provide an atmosphere of companionship and acceptance for each survivor and their caretaker. This meeting is open to all ages. Movement for Improvement combines yoga, tai-chi, and chair dance to improve flexibility, strength, balance, and overall coordination. 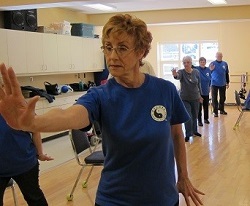 Moveable Peace combines Qigong, Tai Chi, brain gym, mediation and other movement practices to allow participants to move in a way that is gentle, supportive and engaging. Two classes are being offered. Class One is a basic movement class for anyone who is recovering from an illness, injury, or for those who would like to add movement into thier life. Class Two Movable Peace is a class for those people who are very comfortable moving, and are curious about Qigong, Tai Chi, or Creative Movement. A square dance is a dance for four couples arranged in a square with a caller who calls the next sequence of steps. Come meet friendly people and learn something new. No partner required. Tai Chi is a form of moving meditation that involves a set of postures that are interconnected by specific transitions in a smooth flowing manner. This group meets weekly to support and encourage one another in their goal of weight loss and maintenance. Awards go to weekly or monthly best losers, contest winners, and members who’ve reached goal! Walk With Ease is a free six-week, evidence-based class that is designed to reduce pain, build confidence in being physically active, and to improve overall health. 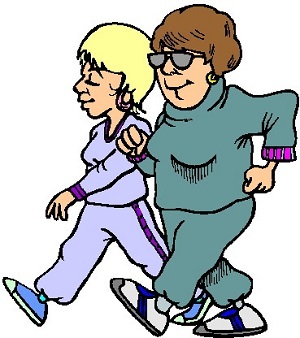 This program will help connect you with other community members who want to improve their health through a gentle walking program that helps them begin slowly, at a comfortable level for them and gradually increase to continue on a lifetime path to improved health. This class meets Monday, Wednesday, and Friday from 3:00 - 4:00 pm. Class size is limited. An easy-going workout that combines simple-to-learn dance steps with infectious Latin rhythms and other world music. The result is a safe cardio workout which includes toning and stretching to help range-of-motion and flexibility.